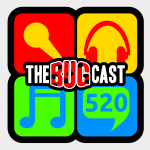 This week on The Bugcast: we talk mainly about the issue of criticising historical accounts based on modern day values, plus we play 8 cracking tracks of Creative Commons music! The next show will be episode 521, which will be streamed live in the chatroom on Friday 6 July 2018 at 21:30-ish UK time (BST/GDT/UTC+1). Your waffle section in this episode brought to mind the discomfort I feel about a very popular TV series in the Czech Republic, where I live. It’s essentially a reinvention of “Stars in their Eyes” but with solely TV personalities as the performers. Anyway, below is a link to a clip showing a well-known (white) soap star/comedian as Louis Armstrong. Here it’s not seen as racist at all, but a celebration of world renowned artists. I don’t condone the actions of the show’s producers, in fact I feel blacking-up is terribly wrong, much to the surprise of my Czech wife. I guess it’s all a matter of perspective. Notably, no one has ever complained about it to my knowledge.